This beautiful and horrifying memoir should be required reading by anyone who feels that immigration is the nation’s number one issue right now. 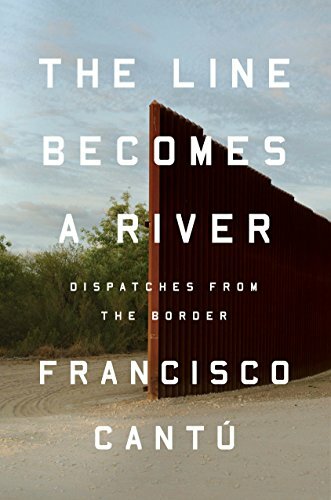 Francisco Cantú literally worked both sides of the U.S. Mexican border. With a Mexican mother and fluent in Spanish, he was an officer of the U.S. Border Patrol, the law enforcement arm of the customs and immigration service. After four years, he left “la migra,” as the Mexicans call the U.S. Border Patrol, deciding he was not cut out for the work. He had long discussions with his mother, who had been a U.S. National Parks ranger, about what the work meant, but he really didn’t tell her his deepest fears. Cantú’s actions, dreams and thoughts about the two sides of the borderlands issue—with apt quotations from everyone from Carl Jung to the diplomats who spent an inordinate amount of time drawing the borderline in the 19th century— form an indelible, intellectual but also intimate, emotional picture of the disruption, and deaths caused by badly formed immigration laws. Only when he wound up becoming the advocate for a friend who was denied re-entry to Texas after returning home to Mexico for his mother’s funeral did he realize what it meant to be on the other side of the line. He did everything he can legally to change his friend’s status so José, who had lived and worked for 30 years in the U.S. as a model employee and father, could be reunited with his wife and three sons. The Line Becomes a River echoes and amplifies other recent books on the U.S.-Latin migrant issue such as Valeria Luiselli’s heartfelt Tell Me How It Ends: An Essay in Forty Questions and Reyna Grande’s The Distance Between Us. The problems it raises won’t go away soon. The violence on both sides of the border that torments Cantú comes not just from migrants but from the narcotics business. Thus this book is larger than the immigration issue. At its heart, it is about how all of us could become inhumane, given the wrong circumstances, or humane, by an act of will, as Francisco Cantú clearly has.